This chapter describes a different approach that can be used on any Linux system. As there's nothing Fedora-specific in this, of course you will not end up with a kernel rpm package. So if you want to compile a 2.6.19-rc5 kernel, you must download the 2.6.18 kernel sources (http://www.kernel.org/pub/linux/kernel/v2.6/linux-2.6.18.tar.bz2) in step 3.1 instead of kernel 2.6.18.2! Select your old kernel and start the system. You can now try again to compile a working kernel. Don't forget to remove the stanza of the not-working kernel from /boot/grub/menu.lst. one the simplest and best how to compile a kernel. Also, it might be worth mentioning that to run "make menuconfig", the ncurses development package must be installed. 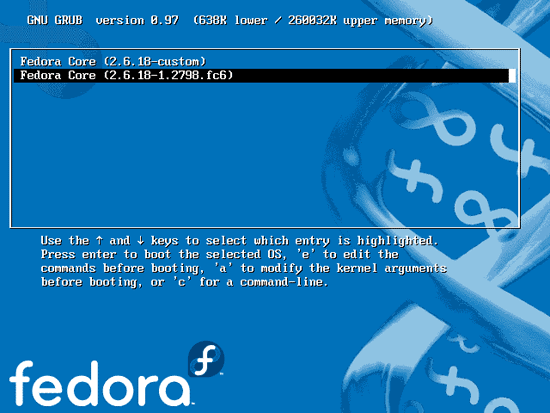 I used the traditional method with Fedora 10 and kernel 2.6.28.4. It took a long time, but it worked correctly. Eliminating many configuration items decreased the time to compile the kernel by 1/2. I have tried many times to compile a kernel for linux and for some reason it never worked. I followed each step verbatim and it still never worked. Just wanted to say thanks for a very easy and step-by-step instructions on how to compile a kernel. Compiled on Fedora 11 VM. It did take quite some time though. 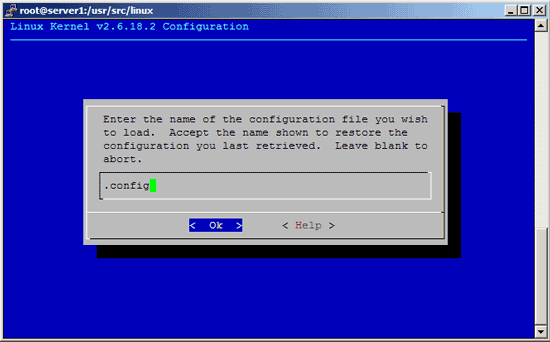 Now I have a working process I will delve into the menuconfig part deeper and customize kernel just for this VM. I have the same problem too. Any expert out there who can help? Has anyone been able to solve that problem? Here is a working copy of what solution worked for me.